SKU: MIMEDP45. Category: Namibian Collection. Tags: African cushion cover, cushion cover, Gifts for teens, hand printed, Namibia, one of a kind, Floor cushion. 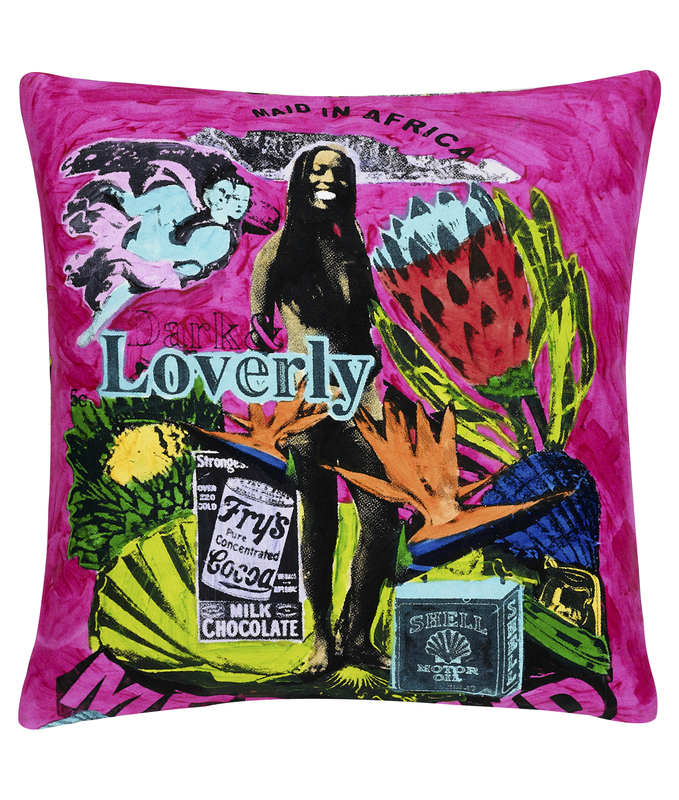 These hand printed cushions feature a collage of well-known brand names, tropical flora and sea shells from Southern Africa.Each African cushion is hand printed and then hand painted so although the background is dark pink the images will be painted in different colours so that no two pieces are the same. Mix and match styles (there are two other designs in the Namibian collection: Headgear and Maidonna) to create a colourful look. Guaranteed to add the wow factor inside or out, these hand printed cushion covers with vibrant African designs are backed in a variety of African prints. Rollover the photo to see the design in more detail. To find out the story behind these exotic cushion covers, which we discovered on a road trip around Namibia, visit our blog. “I bought five hand-painted Namibian cushion covers from Maud interiors and I am incredibly pleased with them. 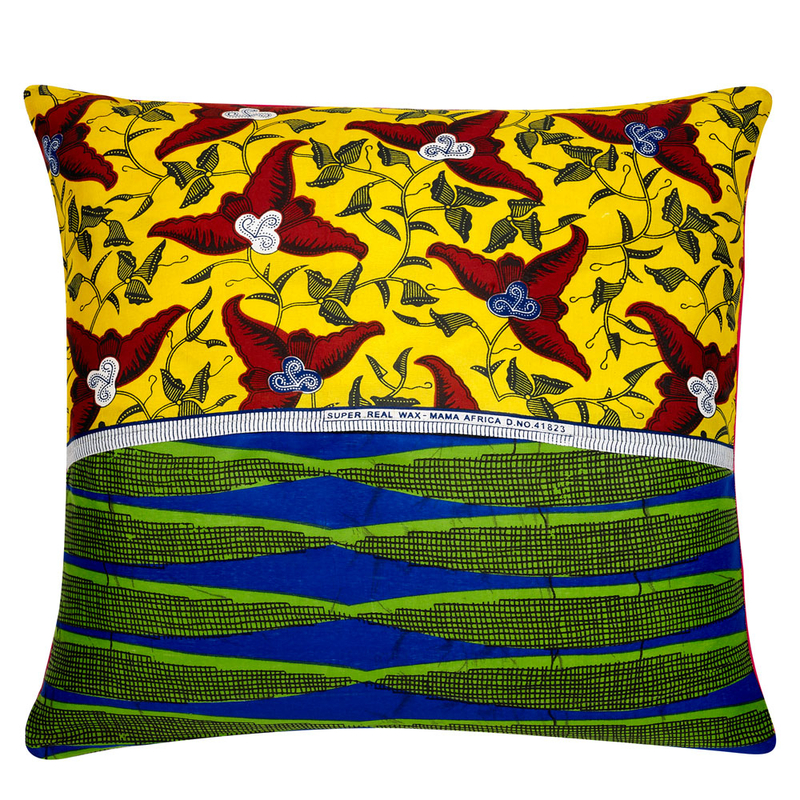 These covers are very vibrant and beautifully made, each colour combination picked by the artisan”.